Do you obey stop signs on private property, for instance, in parking lots? For safety reasons we say you should, but you may not be legally bound to, depending on which state you live in. In many states, stop signs, and other "traffic control devices," are only enforceable when a vehicle is being driven on a street or highway. Other states, however, extend such laws to private property that is open to the public, such as store parking lots and shopping malls. In some other states, property owners are allowed to ask police to enforce traffic laws on their private road or in their parking lot. If that is the case, then you may be able to roll through a stop sign in one parking lot, but not the one across the street, where a store owner has an agreement with the local police – which you won’t know about until you’re ticketed. 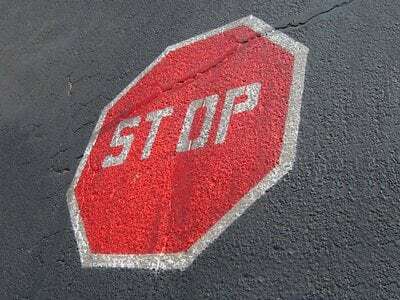 If you’re in an accident in a parking lot because you ignored a stop sign, it will be taken into account when the insurance companies determine which driver is at fault, regardless of whether it is a citable offense or not. If you’re the one found at fault, your liability insurance would pay for damages you caused others -- and your car insurance rates would likely rise. 0 Responses to "Ignoring stop signs on private property"